The lead voice of The Alcapones, Shaun draws inspiration for The Alcapones’ original songs from a life steeped in mountain experiences. 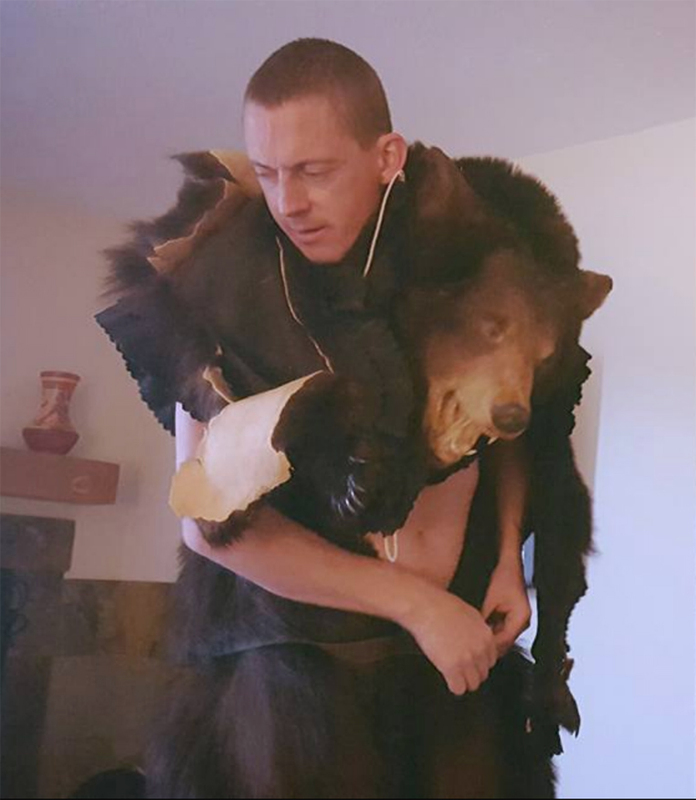 Shaun is a Nederland resident and has been in the Rocky Mountains for over 8 years writing music and playing every instrument he can get his hands on, including guitar, accordion, banjo, mandolin, and African drums. A true warrior, he’s up 'til well past midnight many nights playing music with The Alcapones, and still goes to work at the farm the next day at 5:00AM! My favorite food is BBQ baby! Pork, cole slaw and cornbread. I also eat tacos everyday. Started playing this music on guitar years ago, when a friend introduced me to Burning Spear. The love grew from there. From Davenport, IA. Been out here 7 years. Favorite artist is Miles Davis. Enjoy playing all kinds of music, but I love the positivity of playing The Alcapones music. I’m ready to take The Alcapones all over the country! 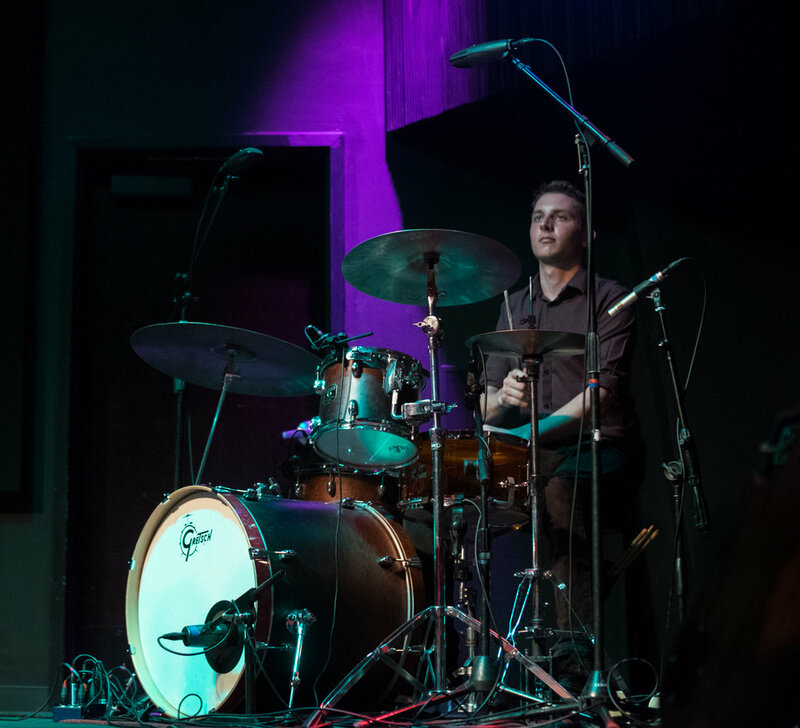 The designated heavy equipment operator for The Alcapones, Jake lays down the pocket grooves for the band, drawing from a wide range of influences. Born and raised on Long Island, NY, currently living in Boulder, and playing any gig he can find up and down the front range. Amazing! Wise Sam, The Maestro, brings the old school ska and blue beat feel to The Alcapones’ music using a vast brain library of vintage ska and reggae knowledge. He’s also part of a rippin’ Denver ska/punk band The Repercussions. When he isn’t playing gigs or working as a middle school English teacher, he spends his spare hours spelunking in deep internet caves for long-since buried and forgotten recordings that spark inspiration for new horn lines and song sections. 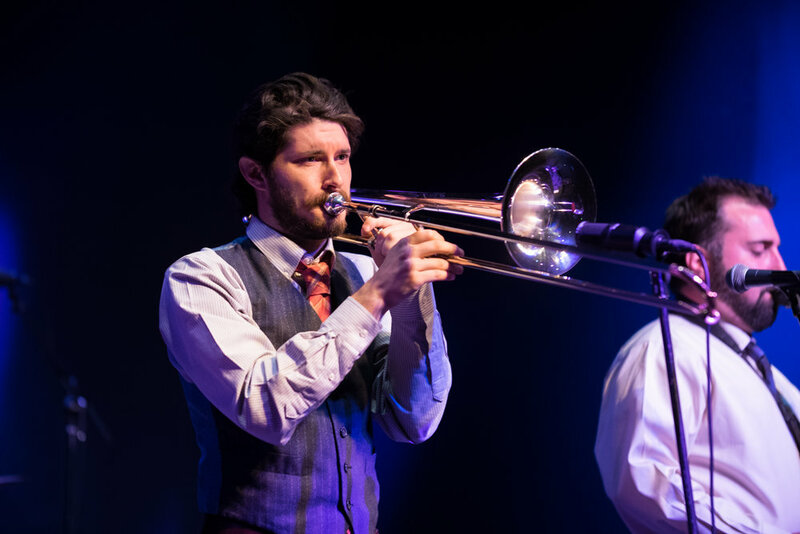 Tom Buswell is the tenor trombone player for The Alcapones and a resident of Boulder, Colorado. He firmly believes that high-altitude training is just as imperative for a brass player as his/her investments in stage choreography research and implementation. When he’s not hyperventilating into his instrument, you can find him implementing lean manufacturing processes. Molecules vibrate in harmony according to his will. After conquering Iowa with his band Dagobah, Les moved to Colorado in 1997 for the inspirational mountainous solitude, and gravity dancing on a snowboard. 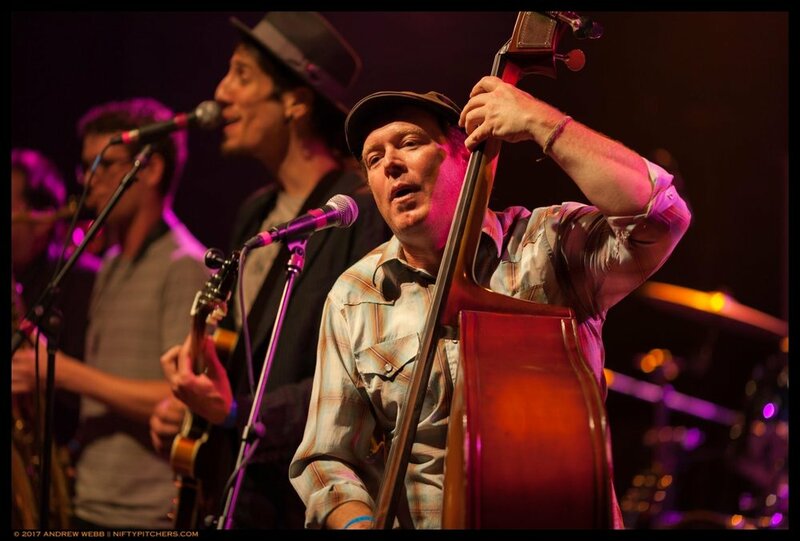 When not sequestered in his studio or playing with the joyous band of brothers The Alcapones, he's been known to take the stage with the likes of The John McKay Band, The Pamlico Sound, and New Family Dog. Disguised as a mild mannered trumpet teacher by day, he escapes to shady clubs at night spreading the Truth of soul-shaking rhythm and melody. Mark Kinz, a grizzled Colorado Ska veteran, is the bass trombonist for The Alcapones. He brings with him the firepower to bring the horn section down multiple octaves, as he projects the void energies of his soul through a giant hollow paperclip. When not searching for the elusive brown note, Mark can be found cranking wicked slappers at unsuspecting goalies, critiquing the Colorado Avalanche, or making computers go "beep boop". Father of The Alcapones and Swedish International Superstar, Johannes dials up the creative energy of the group to new heights, constantly challenging the group to reach further into the weird and unique each and every show. You have all the parts... you just need to shift it up!